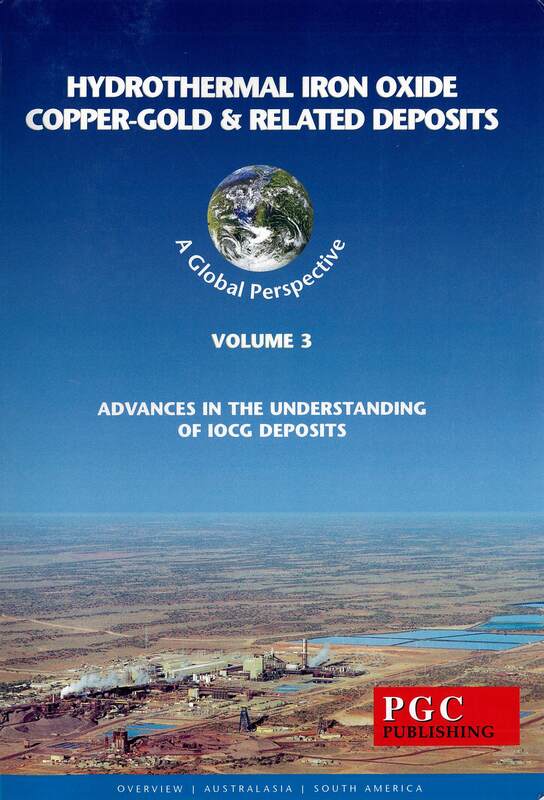 The ~1530 Ma Ernest Henry IOCG deposit in the Cloncurry district of the Eastern Succession of the Mount Isa Inlier is one of the largest IOCG deposits in Australia. The deposit is hosted by brecciated and strongly K feldspar altered Mount Fort Constantine metavolcanics (~1740 Ma). Ore-bearing assemblages are dominated by magnetite, chalcopyrite, pyrite, carbonate, quartz and apatite. Most gold is present as electrum, in both pyrite and chalcopyrite. At shallow levels, the ore is dominantly infill between rounded clasts of K feldspar altered metavolcanics. In this setting, ore grade is inversely correlated with breccia clast abundance, reflecting the dominance of ore minerals as infill. At greater depths however, the boundary between clasts and infill becomes diffuse, and ore minerals are not restricted to the space between clasts, but are also present within clasts, indicating that replacement was a key process of ore deposition. At these greater depths, the relationship between grade and clast abundance breaks down, also consistent with ore precipitation by replacement as well as infill. Deep in the deposit, multiple generations of breccias are present, and late "second generation breccias" are iron-rich and contain coarse rounded and corroded fragments of pyrite, chalcopyrite and magnetite in a magnetite-rich matrix. The presence of clasts of ore-related minerals suggests that a feeder zone or region of pre-enrichment exists at depth, and may have been critical in localising ore. The Ernest Henry breccia is texturally similar to some regional unmineralised hydrothermal breccias, which are interpreted to have formed by fluidisation and particle transport over hundreds to thousands of metres by high energy fluids. Potassic alteration that forms a halo to the deposit, extends for over a kilometre beyond the ore zone. This alteration zone overprints earlier regional sodic and sodic-calcic alteration, and is in turn overprinted by brecciation and copper-gold mineralisation. 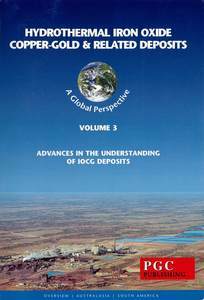 In addition to K, relative to the host rocks, the deposit is enriched in Ba, Mn, Cu, Au, Fe, Mo, U, Sb, W, Sn, Bi, Ag, F, REE, S, As, Co and Ca. Several lines of evidence, including C, O, and S isotopes, fluid inclusion halogen ratios and fluid inclusion Ar isotope ratios, are consistent with involvement of both magmatic and basinal fluid in the transport and precipitation of these elements. Fluid inclusions indicate that both hypersaline brines (~35 to 70 wt.% NaCl equiv) and CO2-rich fluids were abundant, although the role of each in the transport of ore-related elements is not clear. The deposit-wide correlation between copper and gold suggest that both travelled in the same fluid. Pyrite at Ernest Henry is strongly zoned, with arsenic, nickel and cobalt all ranging from a few hundred ppm to a few wt.% within individual grains of pyrite. Such pyrite compositions are not unusual relative to other IOCG deposits or weakly mineralised IOCG-like magnetite-matrix hydrothermal breccias in the Eastern Succession. On the other hand, with up to 1 wt.% Mn, Ernest Henry magnetite is the most manganese-enriched hydrothermal magnetite identified in the Cloncurry region. Mn/Ti ratios in Ernest Henry and several other regional IOCG deposits are consistently greater than those in unmineralised IOCG-like magnetite-matrix breccias from the Eastern Succession. Apatite at Ernest Henry is unusually fluorine and arsenic-rich, and is zoned with variable concentrations of arsenic and sulphur. Around the world, arsenic (and fluorine)-rich apatite is common in iron-manganese-rich seafloor deposits. The strong enrichments of iron within the deposit, manganese in magnetite and arsenic in apatite, may indicate interaction of hydrothermal fluids with iron-manganese-rich seafloor sediments and banded iron formations, such as those in the Overhang Jaspilite, which may be present below the deposit. We propose that the Ernest Henry IOCG deposit formed where mafic and felsic magmas of the ~1530 Ma Naraku batholith mingled, driving volatile exsolution. Extreme fluid overpressuring resulted, confined by an impermeable carapace formed by regional sodic and sodic-calcic alteration. The eventual failure of this seal led to a high-energy fluid-flow event forming hydrothermal breccias with upwardly transported and milled clasts. Mixing of basinal and magmatic fluids accompanied ore precipitation, although the source of the metals remains unclear. In the upper portions of the deposit, most ore was precipitated as hydrothermal infill between clasts of K feldspar-altered metavolcanics. At greater depths in the ore body, interaction between fluids and rocks was more prolonged, forming both infill and replacement-style ores.